In her exciting yet frightful new novel, The Perfect Nanny, Leila Slimani reveals a ghastly crime in the very first sentences, challenging us to come along for the ride. The big question here is not what happens between a nanny, Louise, and her two charges, but why? Slimani parcels out clues to Louise’s motives in small bits, twisting her story back and forth through time. Alternating chapters, narrated by Myriam, the mother, take us into the mind of a woman struggling with the part of motherhood that asks her to relinquish her identity. This is not a new problem, a working mother beset with guilt, missing her children, but really enjoying her work, where she feels she is her best self. Louise experiences extreme loneliness in the house of Myriam and her husband, Paul, never knowing when she will be brought into the family fold. Paul and Myriam include Louise when it is convenient for them to think of it, confusing and blurring the boundaries of their working relationship. The psychological complexity adds to the shock and horror that unravels on these pages. 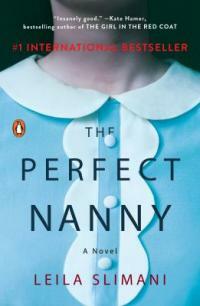 Though it provides no easy answers, no tidy lesson, The Perfect Nanny is a thrilling and thought-provoking read. Great nonfiction for kids! 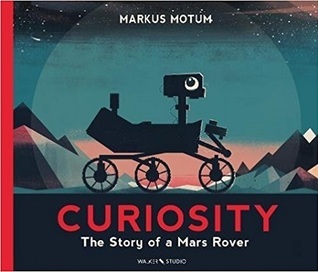 Curiosity: The Story of a Mars Rover tells the story of NASA's Curiosity Rover and it's 2011 unmanned mission to mars. Told from the perspective of the Rover itself, Curiosity lays out the science and engineering behind space exploration in a way that is both accurate and entertaining. You'll find this little jem of a picture book in our Youth Nonfiction section. 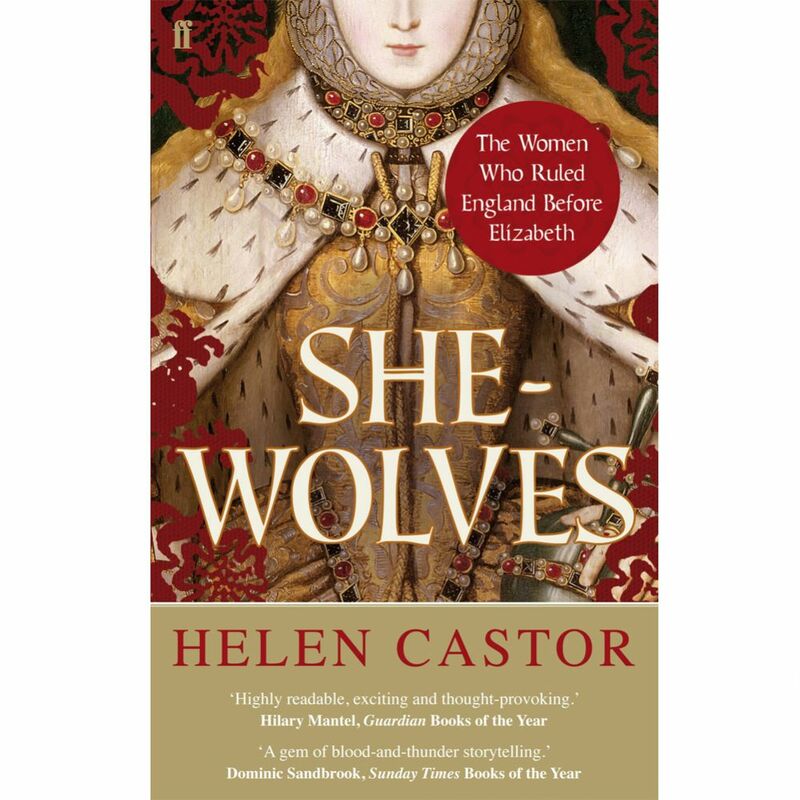 She-Wolves: the women who ruled before Elizabeth draws upon the lives of six fascinating women, and explores the volatile history and the painfully obtuse gender politics of Medieval and Tudor England. Each of Castor's subjects face intense personal challenges in an era where gender determined every aspect of a person's life - and where a person's gender had everything to do with how much they were the master of their own fate. Helen Castor writes vividly, and does a fantastic job of breathing life into these long-dead (and often poorly documented) historical figures. She Wolves highlights the strength and determination of some of history's most remarkable women. While she does not directly those dots, Castor invites an easy comparison between their stories and those of modern women in politics. You'll find this page-turner of a book in our Adult Nonfiction section. 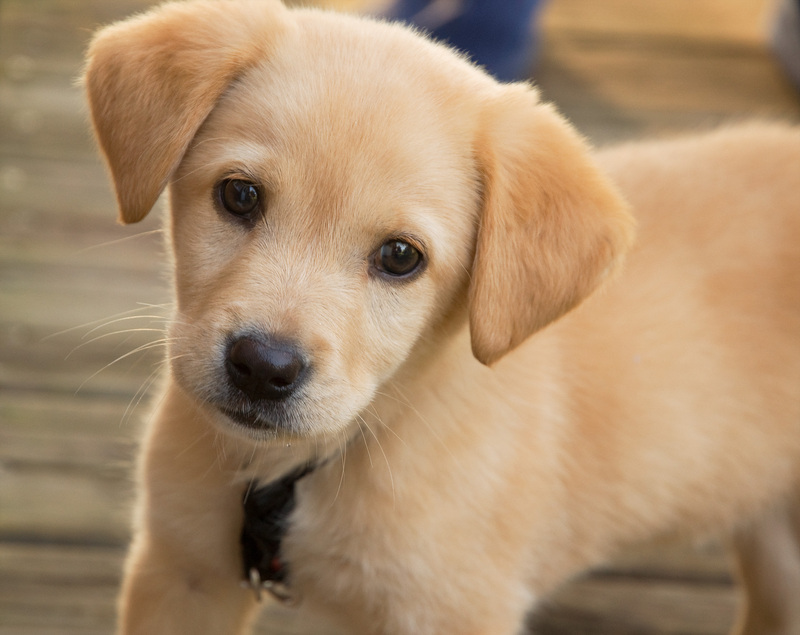 Do you need an excuse for getting a new dog or puppy? National Puppy Day is on Friday, March 23, 2018. It's the unofficial day to celebrate the happiness that puppies (and older dogs) bring to our lives! If you have some puppies of your own, give them an extra treat and some cuddles to show them how much you love them. For those with cats, Hug Your Cat Day is coming June 4th. At the 2018 Winter Olympics, Maia and Alex Shibutani took bronze in ice dancing and Yuzuru Hanyu won gold in men's singles. Figure skating takes strength, flexibility, endurance, and artistry. Before you have a chance to grab tickets for the 2018 Stars on Ice show with our favorite Olympic figure skaters, why not watch Yuri!!! On Ice? Coming soon to AADL, Yuri!!! On Ice revolves around a Japanese figure skater Yuuri Katsuki and his challenges as he becomes unsure of whether or not he wants to continue his skating career. After a devastating defeat at the Grand Prix finals, he decides that he might retire. But with a run-in with rising star Yuri Plisetsky and skating legend Victor Nikiforov deciding to be his new coach, Yuri Katsuki is once again renewed with an ambition to skate. I was delightedly surprised by The Sky is Yours. 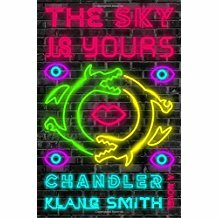 Chandler Klang Smith is a first-rate writer with a vast and colorful imagination who has created a work that is speculative fiction as much as it is a strong social satire, a romance, and a dystopian fantasy. Most of the action takes place on Empire Island, Smith’s fusion of a world, where dragons circle above wastelands and cities filled with “futuristic” technology that has “crept inside the human form and become inseparable from it, ghost hearts beating in human chests, baby skin growing on old bones.” Countering this is the seedy underbelly of a scorched land inhabited by crime lords, drug lords, and burning buildings, the “backstage in a vaudeville house at the end of the world.” And though they are a constant presence in the sky above, it is not only the dragons that have laid waste to these cities, but their inhabitants themselves. Be prepared for a wild ride through Smith’s dazzling genre mash-up with an infantile reality tv star; his fiance, a spoiled, self-loathing heiress; and his recently discovered girlfriend, a wild, landfill-residing orphan. The Sky is Yours is entertaining, shrewd, and impossible to put down. 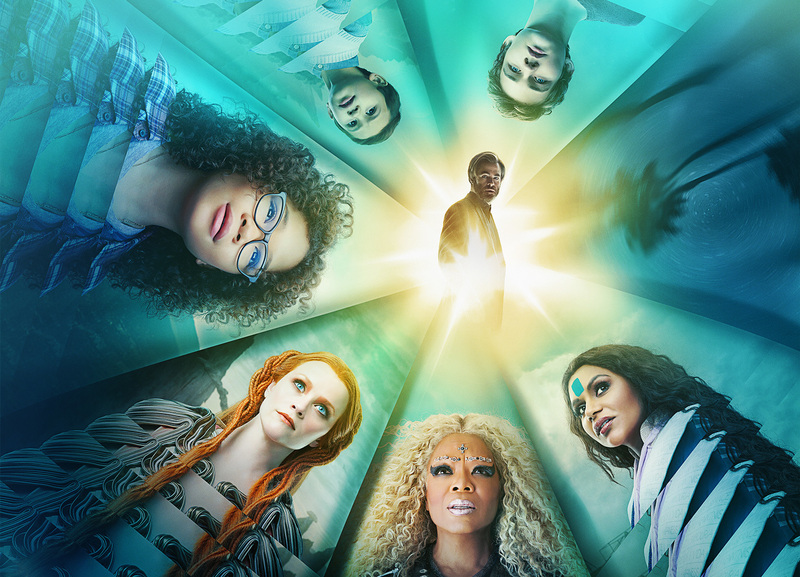 The newest adaptation of A Wrinkle in Time was released in theaters last weekend. Although it has received mixed reviews, it's based on one of the most well-known and classic children's books of all time, in which siblings Meg and Charles Wallace and their friend Calvin embark on an epic journey through time and space to save the siblings' scientist father and defeat an evil being. At AADL, this classic story also comes in other formats, including the graphic novel, large print edition, audiobook, and on Ebook through Overdrive. The library also carries a copy of the first Disney DVD film adaptation. A Wrinkle in Time has several companion novels to go with it. These "not quite sequels" further the story of the Murray family but don't follow the events of the first novel consecutively. The companion novels include A Wind in the Door, A Swiftly Tilting Planet, Many Waters, and An Acceptable Time. A few weeks ago the American Library Association announced winners and honors in books, videos, and other outstanding materials for children and teens. One of my favorite awards in this group is the Alex Award. The Alex Award is given annually to ten books written for adults that have special appeal to young adults, ages 12 through 18. 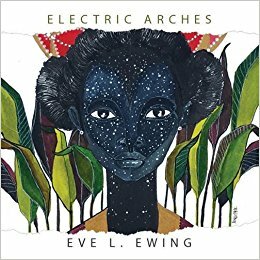 One immediate standout in this year’s group of winners is Eve L. Ewing’s book of prose and poetry, Electric Arches. Ewing is a sociologist of education and grew up in Chicago. She is an academic, a scholar, essayist, and visual artist with skill and knowledge beyond her age. She studies racial inequality in public schools, particularly in Chicago, and has such a strong voice. This is not just another collection of poetry and essays – her words exist to engage, inspire, and move the reader. Interspersed with visual art, her poems hum on about such things as 1990s Chicago, growing up a black female, art, politics, hair, Prince, and Lebron James. 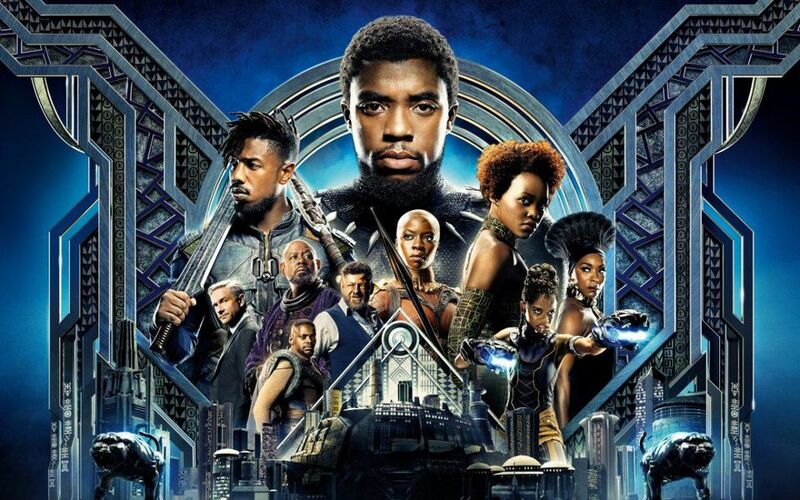 Black Panther has been out in theaters since mid-February and is making waves across the country. It's taken in over $1 billion worldwide and has sparked many cultural conversations. If you're interested in learning more about Black Panther, take a look below at what the library has to offer! For kids, we have chapter books such as Battle for Wakanda, The Young Prince, and the Junior Novel. Black Panther also shows up in an Iron Man Reader called Panther's Prey. Teens and adults can check out the newest series written by Ta-Nehisi Coates, Avengers of the New World, as well as his previous works A Nation Under Our Feet Vol 1 and Vol 2. We also carry Black Panther: The Complete Collection. 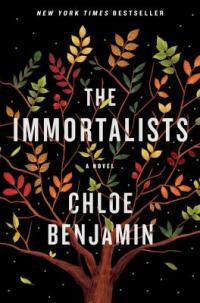 Chloe Benjamin's The Immortalists is the story of siblings in 1969 who learn the eventual dates of their deaths from a traveling psychic and spend the rest of their lives attempting to balance destiny with independent choice. It's epic yet approachable, realistic yet fantastical, and celebrates the things that tie us together, whether it be knowledge of your impending death, family, or fate. It also has a wait list a mile long... so here's a couple of titles to tide over your appetite for destiny drama while you wait. Her Body and Other Parties by Carmen Machado is one of the best books I've read in the last few years. You'll find Machado's book in our Science Fiction section, though her books have elements of classical fiction, magical realism, science fiction, and horror. Critics have had difficulty categorizing this book, which encompasses so many themes and genres. I would encourage you to look beyond this book's genre if you are not usually a science fiction reader. The first story in the collection, "The Husband Stitch," is a retelling of a folk tale that many of us remember from our youth, the story of the girl with the green ribbon around her neck. "The Husband Stitch" follows a young woman throughout her life and marriage. The world that this character navigates is very much like our own, except for that women here have a ribbon tied to a part of their body. We are not sure what this ribbon symbolizes but we know that it is a uniquely female trait, and it seems to be a source of fear for women. At one point in the story the narrator has coffee with a friend. She says, "We do not discuss the specific fears of raising a girl child. Truthfully, I am afraid even to ask." The narrator has a male child and she is so relieved that she begins to weep. The narrator fiercely guards her ribbon from her son and her husband. The ribbon causes conflict in her marriage. Machado's Her Body and Other Parties, is a powerful book of short stories. Each story is well written, finely crafted, mysterious, suspenseful and eerie. These stories have feminist themes, the author explores the implications of being a woman in this world, and the world that Machado has created. New Features, and a new Bookable Room! The end of February is nigh, and we've been hard at work building more new features for the new aadl.org! In addition to the Whiffletree and Lamplighter rooms on the 2nd floor of the Downtown Library, we've now made the AADL Freespace on the 3rd floor of the Downtown Library bookable online! You can book this room that seats about 32 at aadl.org/rooms after logging in with your library card. You can book it for 2 hours per day per card, up to 12 times per 365-day period. And, while this room used to require 2 weeks advance notice, now you can book it for tomorrow onward! However, unlike our smaller meeting rooms, no same-day walk-in usage of AADL Freespace is available. Advance booking only! Due to a National Weather Service travel advisory, all locations of the Ann Arbor District Library will be closed on Friday, February 9. Blind Date with a Book at all locations! Stop by any of the AADL locations for a sweet February surprise! Adults and teens will find Blind Date with a Book displays, where one can hopefully find the mysterious item of their dreams! Books (and movies!) are wrapped in butcher paper and decorated with hearts in red, pink and purple. They have a short description of what the material inside contains… but you’ll have to check out the item and take it home to unwrap to find out if it’s really meant for you! Kids aren’t left out either! There are Surprise displays at every location too, where kids will find mystery items decorated with stars and question marks in bright rainbow colors, and wrapped up with only hints written on them to imply what’s inside. Thanks for all your patience throughout this week as we got the last data out of the old system! Requests have now been loaded and enabled, and we're thrilled to introduce a long-awaited feature, entirely appropriate for the weather we've been having: FREEZABLE REQUESTS! What is a Frozen Request? When you freeze a request, you'll keep moving up the line, but a copy will not be put on the holdshelf for you until you unfreeze the request. That means you can avoid too many things coming in at once, or freeze all your requests when you go on vacation! When can Requests be Frozen? You can freeze and unfreeze any of your requests at any time, except for requests which are in transit, or ready for pickup on the hold shelf. Once your request has hit the hold shelf, it's too late to freeze it. How do I Freeze my Requests? On your my account page, you can freeze or unfreeze any or all of your requests using the modify button. You'll see a spinner while your command goes through, and then the status will change to Frozen or Unfrozen. How do I know what place in line I am when a request is Frozen? For now, you can't see what place in line you are when a request is frozen. You can unfreeze and reload to check if you want to know. We'll be working on this as we see how patrons are using this feature! I was #15 of 18 requests, but now it's ready for pickup, what happened? What happened was that requests 1-14 were all frozen, so you were next! We expect this sort of thing may happen a lot for popular items with lots of outstanding frozen requests. We'll be working on ways to display this better and give you a better idea how close you are to the top of the queue once we have more data on how this is used by our patrons. Just Contact Us if you have any questions about this new feature or run into any trouble! It's a whole new way to use your library, and we're excited to see how you make use of it! Welcome to the new AADL.org! Welcome to the all-new AADL.org! We're still working on a lot of features and cleaning up webpages, but the new site is here at last! Here are a few updates on where we're at, and what's to come this week and beyond. Requests have been loaded, with NEW FEATURES! With the new website, you can FREEZE or UNFREEZE your requests whenever you'd like, so long as they haven't yet hit the hold shelf. When a request is Frozen, you'll keep moving up the line, but the item won't be hit the hold shelf for you until you Unfreeze that request. Perfect for when too much stuff is coming in at once, or for when you go on vacation! We're getting ready to start filling requests early this week, so stay tuned for that! Call or Text Your Library, just one number! You can always call us at (734) 327-4200, but now you can text us at that number too with your questions! You'll get a response from library staff via text to your question, usually in just a few minutes! If you've used the Meeting Rooms at Westgate Branch, you know they're a hot commodity! So we've made two meeting rooms on the second floor of the downtown library bookable just like the Westgate Rooms. The Whiffletree Room and the Lamplighter Room can now be booked online for up to 2 hours, a minimum of one day in advance. You can book each of these rooms 12 times in a 365-day period with your library card. Get started booking these rooms right now! We've slowly been growing our collection of local digital music for download, and now we're thrilled to launch a single place to find it: AAMPS, the Ann Arbor Music & Performance Server! With great music you can download right now, and much more to come in coming months, we hope you'll find something great to listen to everyday. As part of the new system, we've waived any outstanding late fees on your account for items you've returned. If you have overdue items that have been billed, those bills will be regenerated soon, unless, of course, you bring the stuff back first! After the dust settles, there are a lot of great new features coming on AADL.org. Notifications by text, custom alerts and reminders, series holds and much more... once we get over this big leap we've just taken, we'll start making more useful features to save you time and effort every time you use the website. Thanks for checking it out, and Thanks for Using your Library! All locations of the Ann Arbor District Library will be closed on Sunday and Monday, December 24 & 25. Regular hours will resume on Tuesday, December 26. All locations will also be closed on Saturday & Sunday December 30 & 31 and on Monday, January 1. Regular hours will resume on Tuesday, January 2. Alright folks! We are officially one week away from the biggest film release this year: Star Wars: The Last Jedi! To help you prepare for this monumental event, we've pulled together a list of just some of the hundreds of awesome Star Wars items in our collection. To start with, we have all of the previous movies on DVD: the original trilogy (consisting of A New Hope, The Empire Strike Back and Return of the Jedi), the prequel trilogy (consisting of The Phantom Menace, Attack of the Clones and Revenge of the Sith), The Force Awakens, and Rogue One. All of these movies are also available on Blu-Ray. Kids have lots of movie options as well. First on the list is the Clone Wars television series and the Clone Wars Lost Missions, as well as the stand-alone movie The Clone Wars. We also have multiple seasons of the television series Star Wars Rebels, as well as the stand-alone movie Rebels: Spark of Rebellion. The LEGO Star Wars movies are also popular, consisting of The Empire Strikes Out, the New Yoda Chronicles, Padawan Menace, and Droid Tales. LEGO Star Wars has a television series as well, called The Freemaker Adventures. We have many of the soundtracks from the Star Wars films and television shows, including those for A New Hope, The Empire Strikes Back, Return of the Jedi, The Phantom Menace, Attack of the Clones, Revenge of the Sith, The Force Awakens, Rogue One, and The Clone Wars. A soundtrack of the original trilogy is available here, and a CD of instrumental solos is available here. We have tons of kids books about Star Wars. For babies, we have board books such as Epic Yarns: A New Hope and Return of the Jedi. Picture books include BB-8 on the Run and Han and Chewie Return!. For children just learning to read, we have Readers such as Are Ewoks Scared of Stormtroopers?, Death Star Battle, R2-D2 and Friends, and Jedi Heroes. Chapter books for kids include Darth Maul: Shadow Conspiracy, Rise of the Rebels, and Before the Awakening. Star Wars comic books are very popular, and include The Original Trilogy, Crash Course, Jedi Academy, and Star Wars Adventures. Nonfiction reads include The Amazing Book of Star Wars, 5 Minute Star Wars Stories, Star Wars: Absolutely Everything You Need to Know, Ultimate Star Wars, The Star Wars Craft Book, and Incredible Cross-Sections. We even have Star Wars books for kids in languages other than English, such as the Spanish language book La Guerra de los Clones Aventuras. For a full list of Star Wars children's books, see these public lists: Star Wars Readers, Star Wars Chapter Books, Star Wars Graphic Novels for Kids, Star Wars Nonfiction for Kids, and Star Wars Kids Books in World Languages. Teens have plenty to choose from too. Most take the form of graphic novels, including The Clone Wars series, Knights of the Old Republic, Empire,Invasion, Kanan, and Legacy, although there are novels like Ahsoka and Rebel Rising as well. For a full list, see the public list Star Wars Books for Teens. The adult collection is where you'll find many of the extended universe novels, both new and old. These include novels such as Bloodline, Dark Disciple, Jedi Trial, Honor Among Thieves, and the Legacy of the Force series. The adult collections are where you're likely to find film adaptations, such as The Phantom Menace and Rogue One: A Star Wars Story. There are a ton of adult graphic novels, such as From the Ruins of Alderaan and Heroes for a New Hope. Adults also have interesting Star Wars nonfiction to choose from, in books such as Star Wars Costumes: The Original Trilogy, Where Science Meets Imagination, The Making of Star Wars and Year by Year: A Visual History. For a full list of adult Star Wars materials, see the public lists Star Wars Books for Adults and Star Wars Nonfiction for Adults. In celebration of this year's First snow, magic snow here are some books to get you into the snowy spirit that don't necessarily end with you singing along to the Frozen! Into the snow, Snow! Snow! Snow!, Splat the Cat : blow, snow, blow, Skippyjon Jones. Snow what, and Pete the Cat : snow daze are cute books about kids and animals playing in the snow. In case you're looking for more of a classic story, here's a few more children's titles you might be interested in: Clifford's first snow day where Clifford the puppy, before he grow's up to be The Big Red Dog, encounters snow for the first time; take a trip with Mrs. Frizzle in The Magic school bus lost in the snow; and who can forget this wonderful classic of a kid enjoying snow in The snowy day. For Teens, we have After the snow, a futuristic tale about a boy in search of his missing family during a new ice age. There is a retelling of the classic fairytale, The Snow Queen, in Winter's child. Finally, in Snow-walker, we see a group rebelling against an evil ruler trying to control their land. We even have a couple of cozy books for adults to, so you can warm up by the fires in the branches, or maybe with coffee or hot chocolate from Sweetwaters. First up, Wagging through the snow, a cute mystery where some adorable dogs are discovered at an abandoned house, right next to a dead body! Next we have another mystery, Snow White Christmas cookie, this time involving a small town and a big cover-up. And finally, Dashing through the snow, a funny love story about a couple who get caught up in some strange scenarios during the holiday season. Hope you enjoy the snow, because they say there's more to come this weekend! Cozy up in the library, or your favorite chair, with some of these books to warm you up! Leslie Jamison gets a job as a medical actor. She plays complex characters, women who are shy or embarrassed, or women who distrust doctors. Leslie assesses the medical students who interact with her. Do they wash their hands before the exam? Do the students ask important questions? Do they have empathy for their patients? The first essay of Leslie Jamison's book, The Empathy Exams, offers a view into a hidden world. How are doctors trained to empathize with patients? What does empathy mean to doctors? What does empathy mean to patients? In her other essays, Jamison explores the idea of pain. How do people deal with chronic pain? Do people believe one another about their pain? How do doctors respond to pain? What kind of pain is "most important" or most recognized by society? Margaret Atwood’s 1996 novel, Alias Grace, discloses the inner musings of a true-to-life Irish immigrant, Grace Marks, who was accused with and locked up in a Canadian penitentiary for killing her employer and his housekeeper. Grace’s story is given to us mostly through the interviews she has with Dr. Simon Jordan, a psychiatrist who has arrived at the penitentiary to determine Grace’s guilt or innocence. From Margaret Atwood’s able hands, we receive intricately drawn out details of the drudgery of a servant’s day, peppered with profound and beautiful observations about nature, God, men, and women. Born to serve, first her father, than various other households, Grace continues to serve through her crime. Her accusers, her co-conspirators, her defender, her jury, and the journalists who tell her story are all male. The action in Grace’s story belongs to the men who want to convey it. In order to own her narrative, Grace must rely on creating misconceptions, fugues, hallucinations, and evasions. Alias Grace has recently been made into a mini-series on Netflix. Showrunner Sarah Polley’s outstanding adaptation sticks closely to Atwood’s story (Atwood was a producer and has a small role in it). If you have a chance to watch it, I highly recommend it. What you won’t get from either Polley or Atwood are definitive answers as to the question of Grace’s guilt, but both work to convey the timeless struggle faced by women of how to have a voice. The Ann Arbor District Library has been named a five star library for the 10th year in a row in Library Journal’s annual rating of public libraries nationwide. The AADL is one of just 13 public libraries in the country to earn LJ's five star designation in each of the last 10 years. Three other Michigan libraries received star ratings this year. Richland Community Library was named a Four Star library within its category, West Bloomfield Township Public Library received four stars, and Genesee District Library received three stars. Congratulations to our fellow Michigan libraries! By now you've probably heard that Celeste Ng, author of Everything I Never Told You, has published her second novel, Little Fires Everywhere. Like Everything I Never Told You, Little Fires Everywhere is focused on family intricacies. 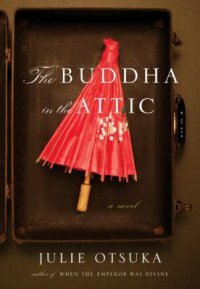 However, while her first book centered upon one family, Ng's latest work explores how two families become intertwined. Set in Shaker Heights, Ohio (an idyllic community that got its start as an envisioned utopia by its creator) in the 1990s, the book masterfully weaves together several storylines full of moral ambiguities. Single mother Mia and her daughter Pearl arrive in Shaker Heights in the summer, looking for a place to rent. Although most spaces are out of their price range, local landlady and prominent Shaker Heights resident Elena Richardson takes a liking to them and rents them the upper half of a duplex that she owns. Pearl quickly befriends the Richardson children, who are all about her age, and Mia, an artist, begins working as a housekeeper for the Richardsons to help make rent money. Readers know from the very beginning that this close relationship between landlords and tenants is a ticking time bomb; the book opens with the Richardsons' house in flames and Mia and Pearl leaving town in the dead of night. Still, we can't help but cheer for all of the characters in the book who--although all flawed in their own ways--are mostly kind-hearted. As the book goes on, Mrs. Richardson begins to dig into Mia and Pearl's past and all of the characters become involved in a local scandal--some intentionally and others by accident. Little Fires Everywhere, like Everything I Never Told You, showcases Ng's ability to create amazingly nuanced characters that tell a story that is thought-provoking in part because of its shocking believability. I did feel that this story wasn't quite as gut-wrenching as her first, mostly because the number of players in Little Fires Everywhere makes it so that readers cannot really get to know and understand any single one. Without a doubt, however, if you liked Everything I Never Told You, Little Fires Everywhere is a must-read. And, if you're unfamiliar with Celeste Ng, now is the time to play catch up! I am already eagerly anticipating her third work. A truly lovely film, Lad: A Yorkshire Story, will make you fall in love with the Dales. Slow, sweeping views of the hills and valleys, provide a natural remedy for the turmoil of the story, and the world. The landscape is a strong presence throughout the film, and plays a role in soothing the souls of all the characters. That landscape is distinctly of Yorkshire, as the title suggests, but Lad is, ultimately, an archetypal tale, of relating to one's place and family of origin, of finding resolution and peace in your own backyard. The film is notable for its simplicity. Very low-budget, using local settings and almost unknown actors, with no computer enhancements or special effects, the result is a triumph for the writer/director, Dan Hartley, and the cast, all Yorkshire born and bred. Lad is a classic coming-of-age story, but with a fresh, original face, and such a sweet, unassuming style, that it never appears sentimentalized or maudlin. Young Tom’s world is falling apart and he is saved by love and friendship, which he finds in familiar and new places. Simple. But intricate and heartbreaking, fragile and surprising. Would that every troubled 13-year-old could find solace working outside under the guidance of a wise, seasoned park ranger. Would that we all could. I almost stopped watching Lad after about ten minutes. It starts slow and deliberate, and I couldn’t tell where it was going, and there are no subtitles to help decipher the accents, and no one told me that it would turn into one of the sweetest, most satisfying stories ever. Now I am so glad I saw it. The end of pregnancy is a strange time. You wait for the biggest change that can happen to a person other than death and yet, for most, you don’t know when the change will happen. When will the baby be born? When will a woman become a mother? When I was pregnant with my son, I read the title essay of A Woman Is a Woman Until She Is a Mother by Anna Prushinskaya probably 15 times. It became almost a talisman to me, a promise that he would eventually be born, that I would be able to cross over to motherhood. In A Woman Is a Woman Until She Is a Mother, Prushinskaya writes beautifully about her experience balancing between places, between states: between pregnancy and motherhood, and between her Soviet homeland and her current home of Ann Arbor. Her essays range from parenthood to identifying local woody plants, and they are all gorgeous- sparse and lyrical. I spoke with Prushinskaya about her experience writing the book, how motherhood has changed her as a writer, and the birth of her second son. Find our conversation on Pulp! At the time of Jane Austen’s death in 1817, no one but close family and friends knew that she was a published author. Fast forward to 1995: a wet-shirted Colin Firth, starring in the BBC’s Pride and Prejudice miniseries, seemingly launches Austen into pop culture superstardom and initiates an Austen craze that has continued ever since. We are now used to Jane Austen cosplay conventions, spin-off novels, and countless Austen-themed tchotchkes. But it’s worth asking the question: How did Austen go from complete anonymity to a cultural institution? The answer to that question, Devoney Looser argues, starts long before Colin Firth. And, she continues, it often has less to do with Jane Austen herself than with how Austen has been interpreted—and invented—by readers, illustrators, playwrights, screenwriters, actors, activists, and teachers. In her new book, The Making of Jane Austen, Looser sets out uncover the little-known parts of Austen’s legacy in British and American culture. She focuses on five areas: how Austen has been illustrated, adapted for the stage, adapted for the screen, politicized, and taught in schools. If The Making of Jane Austen piques your interest, be sure to mark your calendar for Anne-Charlotte Mecklenburg’s talk, “Lights, Camera, Austen: the screen adaptations of Jane Austen” at Westgate Branch from 7-8:30pm on Wednesday, December 13th. And stay tuned for info about all our upcoming Jane Austen events this winter in partnership with the University of Michigan—Austen Trivia! Embroidery! English Country Dancing! Everything to satisfy the Austenian heart. Do you enjoy a good documentary? Ken Burns has directed a number of outstanding documentaries that are perfect for the transition into these cold winter months. These documentaries have multiple DVDs, so get ready to snuggle under a big blanket with some hot tea and enjoy! All AADL locations will be closed on Thursday, November 23 for Thanksgiving. Regular Library hours will resume on Friday, November 24. Document an historic site in Ann Arbor. Assist with Ann Arbor Historical Street Exhibit tours. Develop material for a local historical museum: e.g., Kempf House Museum, Cobblestone Farm, Museum on Main Street. Produce media that promotes local history, e.g. Community TV; graphic novel. Document an interview with a local historian. Contribute to local history efforts at the Ann Arbor District Library. Develop a program to promote this Award to all Ann Arbor high schools. Watch this video for more information about the award, or email project director Ilene Tyler at historicA2@gmail.com.